Assam University has released the admission notification for MBA and M. Phil./ Ph. D. programme on the official website for the eligible candidates for the academic year 2019-2021. The Assam University will conduct written test for the candidates who want to take admission in MBA and M. Phil./ Ph. D. programme. Candidates can apply online from the official website or from the direct link is provided on the “application page”. The last date for submission of online application form is February 18, 2019 for MBA programme. Candidates are requested to fill the application form before the last date. 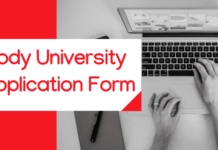 The candidates who are eligible and Interested to enroll themselves can check the details which are given below on this page regarding application form, result and admit card. Latest: List of candidates selected for P.I for M. Phil | Ph. 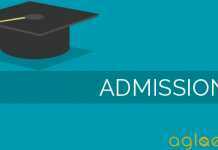 D admission, 2019 for the Department of Economics has been released. Candidates can fill their application for MBA and Mphil./ Ph.D.courses from the official website of Assam University. Candidates are advised must follow the instruction before filling the application form online. Schedule for M. Phil./ Ph. D.
A candidate having a Bachelor’s Degree in any discipline (Science, Commerce, Arts, Mass Communication, Computer Science, Engineering, Technology, Pharmacy, Medical Science or any other relevant field) with at least 60 % marks or equivalent CGPA [relaxation of marks or equivalent CGPA in case of the candidates belonging to reserved categories will be as per GOI rules] in aggregate in either Honours or Pass course awarded by any of the Universities incorporated by an act of the Central or State legislature in India or other educational institutions established by an act of Parliament or declared to be deemed as a University under Section 3 of the UGC Act, 1956. Candidates seeking admission to the MBA (Hospitality and Tourism Management Programme) 2019 must having a Bachelor’s Degree in any discipline (Science, Commerce, Arts, Mass Communication, Computer Science, Engineering, Technology, Pharmacy, Medical Science or any other relevant field) with at least 55% marks or equivalent CGPA [relaxation of marks or equivalent CGPA in case of the candidates belonging to reserved categories will be as per GOI rules] in aggregate in either Honours or Pass Course awarded by any of the Universities incorporated by the act of the Central or State Legislature in India or other educational institutions established by an act of Parliament or declared to be deemed as a university under Section 3 of the UGC Act, 1956. A candidates who has already appeared or would be appearing in the Final Semester Examination of a Bachelor’s Degree programme before 31st May, 2019 may also apply for admission if he/she has already cleared all the earlier Semester Examinations of the said Degree programme by securing the minimum qualifying marks as mentioned under the regulations for CAT 2018 or under (b) above, as the case may be, subject to the conditions that, such candidates if selected will have to submit to the Department their Degree Final Mark-sheet positively on or before such date as would be notified by the University for this purpose and that in the event of the failure of the candidate either to qualify himself/herself in the said Degree Examination by securing the notified minimum percentage, or to submit the Degree Final Mark-sheet within the notified date, his/her admission to the MBA programme shall automatically stand forfeited. A professional degree declared equivalent to the Master’s degree with at least 55% marks in aggregate, or its equivalent grade or an equivalent degree from a foreign educational institution accredited by an Assessment and Accreditation Agency which is approved, recognized or authorized, by an authority established, recognised or incorporated under a law in its home country or any other statutory authority in that country empowered for assessing, accrediting or assuring quality and standards of educational institutions. A relaxation of 5% of marks, from 55% to 50%, or an equivalent relaxation of grade, may be allowed for those belonging to SC/ST/OBC (non-creamy layer)/ differently-abled and other categories of candidates as per the decision of the Government of India (GOI) from time to time, or for those who had obtained their Master’s degree prior to 19th September 1991. The eligibility marks of 55% (or an equivalent grade in a point scale) and the relaxation of 5% to the categories mentioned above are permissible based only on the qualifying marks without including the grace marks. The candidates seeking admission against OBC quota must submit income certificate of the current financial year in support of his/ her belonging to OBC (NCL) category, from the appropriate authority. Master’s Degree holders satisfying the criteria stipulated under Eligibility Criteria for Admission to M. Phil. Programme under point . Candidates who have cleared a four paper M.Phil. course work with at least 55 % marks in aggregate or its equivalent grade ‘B’ or those who have already completed the course work in M.Phil. as per the UGC (Minimum Standards and Procedure for Award of M.Phil./Ph.D. Degrees) Regulations, 2016 with at least 55% marks in aggregate or its equivalent grade in the prevalent AUS grading scale and successfully completed the M.Phil. Degree shall be eligible to proceed to do research work leading to the Ph.D. Degree in an integrated programme in the University. A relaxation of 5% of marks, from 55% to 50%, or an equivalent relaxation of grade, may be allowed for those belonging to SC/ ST/ OBC (non-creamy layer)/ differently-abled and other categories of candidates as per the decision of the GOI from time to time. The candidates seeking admission against OBC quota must submit income certificate of the current financial year in support of his/ her belonging to OBC (NCL) category, from the appropriate authority. A student of Assam University, whose M.Phil. Dissertation has been evaluated and the viva voce is pending, may be admitted to the Ph.D. programme of the University. Candidates possessing a Degree considered equivalent to the M. Phil. Degree of an Indian Institution, from a Foreign Educational Institution accredited by an Assessment and Accreditation Agency which is approved, recognized or authorized by an authority, established, recognized or incorporated by law in its home country or any other statutory authority in that country empowered for assessing, accrediting or assuring quality and standards of educational institutions, shall be eligible for admission to Ph.D. programme. Candidates are advised to mention their e-mail ID, Fax/Land phone and Mobile Phone number etc. in the application form. Any of these channels may be used by the concerned departments for communication if necessary. Candidates are requested to check the website regularly for admission related notification. Candidates seeking admission for the first time in Assam University have to submit Migration Certificate within two months of their admission. Selection of candidates for admission will be made on the basis of percentage of marks secured in qualifying examination and performance in the admission test and personal interview. The weight age for the qualifying examination, admission test, and personal interview will be in the ratio of 25:50:25. Candidates are to produce all testimonials in original at the time of personal interview. Also, they need to submit self-attested photocopies of all such testimonials in the department during their personal interview. Both the aforesaid clauses are mandatory failing which may even lead to rejection of the candidature of the applicant. 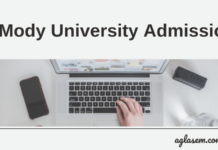 For more details of Assam University Admission, 2019 Download Information Brochure from below. MA entrance date (History) plz…….